If you don’t have a sound medical billing process, you don’t get paid. You’ll improve your practice and take in more money when you get a handle on your medical billing. Some popular forms of billing include handling it in-house, hiring a company and using software. No matter which you choose, the tips below can help your business. Are you looking to revolutionize your medical billing processes? This article will get you started. Let’s dive in. You should consider seven different tips for improving your medical billing. Study the following seven ideas and see where they fit into your medical practice needs. Hiring a medical billing company is one of the best investments you can make into your practice. Your medical billing becomes quick, precise and organized when you hire a pro. The company will spend all their energy managing your billing, so you can focus on providing medical care. Hire a medical billing company that specializes in your area of care. For instance, if you provide physical rehabilitation, hire a billing company familiar with the physical therapy billing practices. Making the right decision up front means you’ll stress less and avoid mistakes. Discretion is key when communicating billing issues. While it’s true that you don’t get paid until your patient settles their bills, you also don’t want to drive people off with rudeness or brash letters. Patients sometimes fall on hard times or may have been billed in error. Exercising tact and compassion helps you bridge the communication gap and ensure that you get paid at the same time. Your patients will appreciate friendly reminders that still treat them with dignity and respect. While friendliness and tact have their place, you most definitely want to enforce boundaries. Work with a company that can handle collections accounts, so that you can more aggressively satisfy balances when necessary. All the billing communication in the world won’t make a difference unless you are willing to take accounts to collections to get the money you deserve. You’ll avoid a lot of mistakes when you garner accurate patient information upfront. This boils down to hiring a front desk staff that is thorough, while also doing your best to keep accurate records. Ditch the old school clipboards and questionnaires and instead upgrade to tablets that patients can use to put in their information. This way, there will be fewer discrepancies due to poor penmanship and other problems. When you take in patient information digitally, it will automatically be archived and you can also begin checking their insurance information. The more upfront you are when gathering patient information, the easier it will be to bill them or their insurance company. Whether you need to bill the medical insurance provider or seek payment from the patient through collections, it begins with having accurate information on the front end. Medical billing revolves around putting in the proper codes. 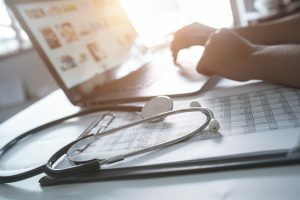 Having coding errors can create a logistics nightmare that further slows the medical billing process and prevents you from getting paid on time. A simple coding error can create issues that backup your payroll and decrease your overall cash flow. A code could be a simple decimal point off and this may create errors that are detrimental to your business. Focus on the details and communicate, since careless coding mistakes are costly mistakes. It pays to have compliance processes in place so that coding errors are avoided at all costs. Getting paid part of what you are owed is far better than getting nothing at all. If you have a patient that is taking a tremendous amount of time to settle their bills, it may be worth your while to offer them a settlement at a reduced cost. Most patients will also be open to payment plans, which allows you to get a little bit of what you are owed on a regular basis. This small increase in cash flow can make a significant difference and will help your patient get their account back into the black. Don’t be afraid to put these options on the table if you would like to get paid. Above all, take the time to hone your medical billing process. It’s best for both the practice and the patient for you to remain consistent in your communication so that there are no surprises. Remaining consistent in your communication avoids miscommunications. This is best for both the patient and the practice as a whole. This begins by being upfront at the time of service about the cost. Explain the costs to your patient before offering service, and explain the difference between using their insurance and paying out-of-pocket. Follow up at the end of the appointment by having the receptionists give them detailed copies of the bill with every line item addressed. Let the patient know their due date at the time of billing so that they can prepare to make arrangements. From here, send friendly reminders that the payment is due or past-due. When you stay on top of these matters and consistent overall, you’ll increase conversion rates with patients handling their bills. Now that you understand a little bit more about the medical billing process, it’s time to do business with a company that offers solutions. You’ll need a company that can track your accounting, offer clear billing practices, and gather money that increases your revenue. Upgrade your billing practices by letting us handle it. Assess these tips and contact us to transform your medical billing practices today.